Cook up tried and true ground beef casserole recipes with the help of our collection, Slow Cooker Ground Beef Recipes: 19 Slow Cooker Ground Beef Casseroles. These are surely ground beef casserole recipes you'll love. Each slow cooker casserole recipe in this collection is tasty and easy to prepare. No matter the season, you'll want one of these hearty casseroles for a weeknight meal. These ground beef casserole recipes will remind you of Mom's cooking, but they're even easier to prepare because you can make them using your slow cooker. This collection of slow cooker casseroles recipes includes a tasty variety of options, from Kid-Friendly Frito Pie, to slow cooker cabbage rolls. Inside this collection, you'll also find several varieties of hamburger and potato slow cooker recipes; some ground beef casserole recipes include tater tots, while others included mashed potatoes. Be sure to also check out our delicious slow cooker stuffed pepper recipe below. With so many fabulous slow cooker ground beef recipes from which to choose, it's difficult to decide which one to make first! So, make them all! 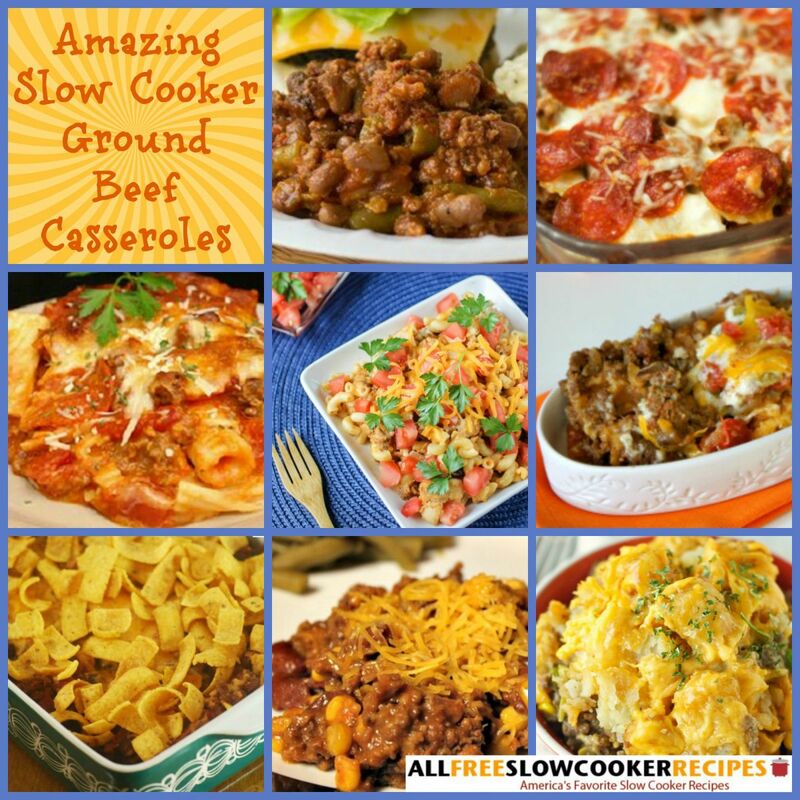 For more slow cooker ground beef casseroles, check out our free eCookbook, "Great Ground Beef Recipes: 13 Slow Cooker Ground Beef Recipes." 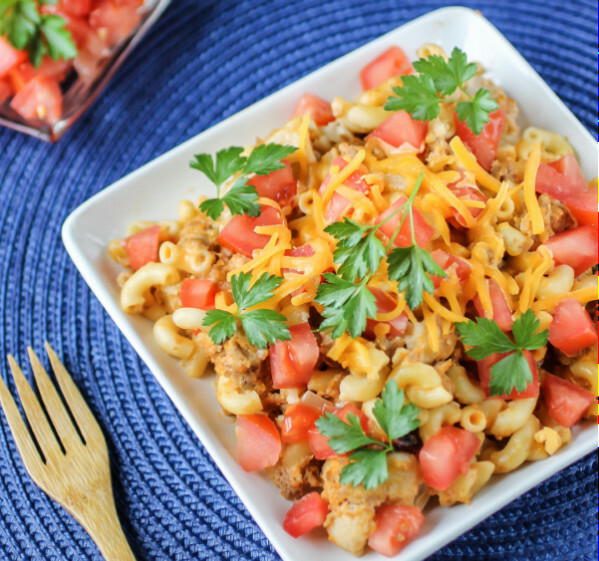 These slow cooker cheesburger casserole recipes are sure to satisfy your kids' cravings and your need for an easy slow cooker casserole recipe. The tasty and familiar flavors you love come together in one pot to make the perfect comfort food meal. 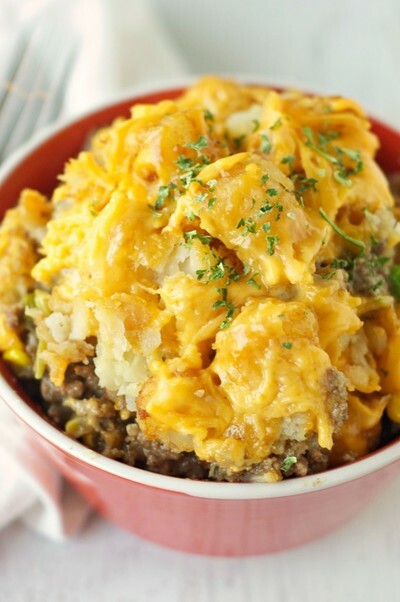 You can add our Cheeseburger Tater Tot Casserole (shown below), and our All Day Cheeseburger Casserole (pictured) to your list of go-to slow cooker ground beef recipes. 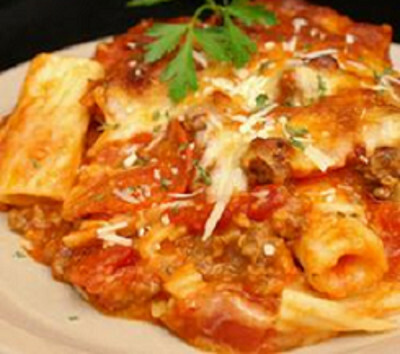 Dinner has never been easier with these slow cooker pizza casserole recipes. These are some of the easiest and most kid-friendly ground beef casserole recipes out there, so enjoy! You can't go wrong with our Dump and Go Sausage Casserole (recipe below), and our Easy Pizza Casserole (pictured) is full of amazing pizza flavor. These recipes are sure-fire winners! Hearty meal lovers rejoice -- this section's for you. 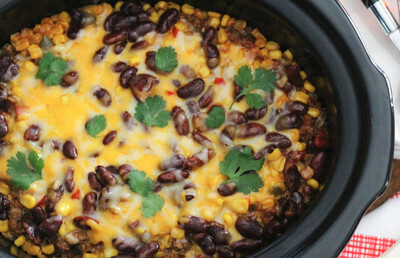 These slow cooker cowboy casseroles are off the charts in flavor and heartiness. You'll love the slow cooker casserole recipes we've collected for you so much, we're sure you'll turn to them time and time again. Many of these ground beef cowboy casseroles have the same flavors as a Texas-style chili, which easily translates into a slow cooker casserole dish. Try our Hearty Cowboy Casserole (pictured) for a no-fuss meal you're sure to enjoy. If you need more ideas for breakfast recipes you can make in the slow cooker, check out this collection of "28 Slow Cooker Breakfast Recipes To Start Your Day." These cheesy beef tater tot casserole recipes are sure to please your kids whenever it's dinner time. These are some of the most versatile ground beef casserole recipes out there because of their ability to take on many types of ingredients. Keeping to the three basic elements -- cheese, beef, and tater tots -- you can add whatever other ingredients you want and transform your meal into something new each time. Try our Ground Beef Tater Tot Casserole (recipe below) for a recipe with green beans, or our Make-Ahead Cheesy Beef Tater Tot Casserole (pictured) with sweet peas and corn. These are some other unique and delicious slow cooker ground beef casserole recipes we think you'll enjoy. 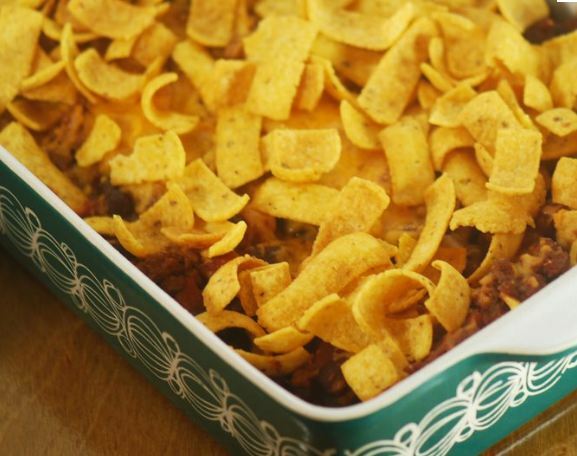 There's something for everyone: From an Asian-inspired ground beef casserole (recipe below), to a Frito pie casserole recipe (pictured), your kids are sure to rave about these dishes. Whatever your taste, you're sure to find something that speaks to you in our list of other slow cooker ground beef casseroles.